Rate and review Orange Blossom Auto Glass in Kissimmee, FL, United States! 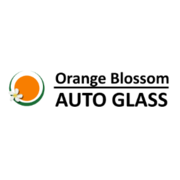 Share your experiences at Orange Blossom Auto Glass with your friends or discover more Auto Glass Specialists in Kissimmee, FL, United States. ★★★★★ For dependable auto glass repair and windshield replacement call Auto Glass Repair Celebration at (407) 964-3510 ! ★★★★★ For dependable auto glass repair and windshield replacement call Vineland Auto Glass Repair Orlando at (407) 378-0878 !